By default the mod will create an island on players login and store it to the island.json file DO NOT EDIT the island.json file unless your are planning on deleting your world this could cause you to loose your islands. Is it possible to set the spawn for new players on top of their island when they spawn? In my server when someone dies, they go back to the default island. Any idea if this will receive future updates, or if it is dead? If we had knowledge of this, it would be great, thank you. Either way, bless you for this amazing mod. I am working on updating IRL just got in the way. V2 is a complete rewrite of the mod I hope it will be done by the beginning of summer contributions are welcome. Sounds great, I was doing my best to recreate a new SkyFactory, only this and achievement books are needed to round off the list of mods. Then to set it up to spawn players on an island and its good to go. can you add more Commands like /island Lock or something, that nobody can TP to your island if the island is locked ?! any plans to update to 1.12? YUNoMakeGoodMap has updated and I'd like to use both mods for a multiplayer server. Yeah, I was considering building a modpack for Curse that has this for servers, but if he doesn't update anymore then I might consider not adding this mod. 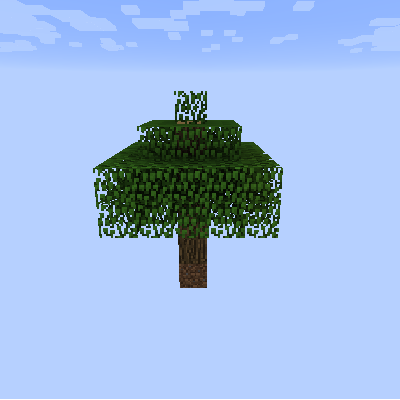 Any word on the update which will add the ability for the command block usage, along with allowing the islands to be generated in more of a grid pattern? Ways to deleting your island in multiplayer? great little mod but I don't know if it's just me or not.. I can't seem to get it to spawn custom structures. Works GREAT with the inbuilt Yunomakegoodmap structures but custom ones stored as nbt files in the structures folder in the YuNo. config structures don't seem to be being pulled in. I've updated BOTH config files to use the same struct:<structurenname> which works once at spawn but no where else. something I'm doing wrong? or something that needs to be addressed? This is a useful mod for my server, but I've not seen any movement on here for a while. In the next release, can you please add extra debugging output to report to the server console whenever the command /tpisland is used, who used it, and either the name or the coordinates that they were teleported to? At present, your mod does not do any verbose output to the console log, and as such makes it nearly impossible to know who has teleported to another player's island and griefed them. Having this output would help to identify who used the command, and help with investigations regarding claims of griefing on servers. Also, do you have an update as to when the next update will be ready? We are still having problems with the createislandfor command not working in command blocks unless you enable it for use by all players in the config. any chance you might add support for void island control? Do you know when you will push the next update so that /tpisland and /createislandfor for will be able to be used by Command Blocks? Currently if you attempt to use a command block for either command, tpisland fails to tp the player and createislandfor says you lack the permissions to use this command. Also createislandfor needs to be set to allow its usage from the command console as well. There have been many times where i have been away from my computer, but have had a player get stuck some place and need sent back to their island. I have an SSH program on my phone, but since createislandfor does not allow it to be used from the command console due to permissions there is nothing I can do. As a server administrator this is very disconcerting. Allow for a method in which players can allow or deny other players to tpisland to their island such as tpisland %theirname% allow/deny This would help prevent other players from TPing to their island and causing problems. How do you get this Mod to Work? it loads also without any problems occuring in the logs, but neither an islands.json is creating, nor the commands are working. Discovered a big of a bug that can be exploited by players on MP servers to grief other players. If any player types /createislandfor %player% where %player% is any player's name other than their own, then the named player is sent back to their original island. This should not be allowed. Only ops should be allowed to execute the /createislandfor %player% that is someone other than their own. When a player does /createislandfor a check should be done to determine the player's op level, and then if they fail the check it should execute on their name only. Also, do we have an update on when command block compatibility will be added? My group is TeamIHOC and we host a Public Open Server with Sky Factory 3, and at present due to the linear spawning of islands, players have started to get spawned in at spawn instead of their island. We are needing to be able to setup a command block so that if they end up there, it can do a testfor and send them to their island. Also we are needing the update that you spoke of about changing it from linear to expanding corners, so as to keep from exceeding the limit for a single axis. Your mod is incompatible with spongeforge, is there any way you can fix it? Our hosting company updated Sky Factory and, in doing so, reset our island.json file. All of our members are now starting on on new islands... I tried to manually change the co-ordinates to point to the original Islands, but it doesn't stay. Is there another spot I need to change to make the island co-ordinates point to where I want them to? Hmmm an Island lock is an idea I might add that in v2.0 after some some of the other features are fully added. What do you mean by island restart? Wipe the island and remake it?